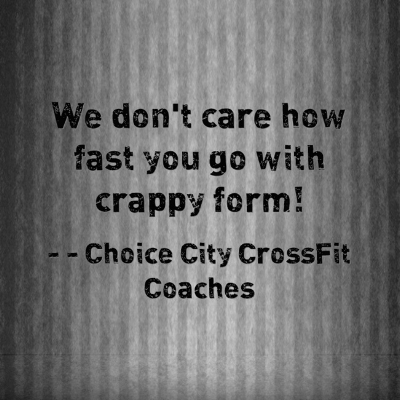 Choice City CrossFit Gym Fort Collins | CrossFit Classes Fort Collins | CrossFit in Fort Collins | Choice City CrossFit-180815 - Quote of the Week WEIGHTLIFTING Wednesday! 180815 - Quote of the Week WEIGHTLIFTING Wednesday! We've created a culture here at Choice City CrossFit where it's much more important to do things well than to do them speedy! Quality over quantity people! If you do full depth squats, get your chin over the bar, open your hips all the way, extend the weight completely overhead...you WILL get a better workout even if you do it slower, we promise! 180814 - Tips Tuesday - "Grips"